It's been a really long time since I've found an impressive brunch spot and I'm beyond ecstatic that Salt Tapas & Bar has rolled out a brunch menu that left me in a severe but happy food coma. Trust me, the extensive menu will have you staring at it for a long time because you simply can't decide what to order! You know a restaurant is legit when you've been there three times, and you're blown away every single time. While the facade of the restaurant might suggest hefty prices, I'm pleased to be the bearer of good news that brunch here is unbelievably affordable. 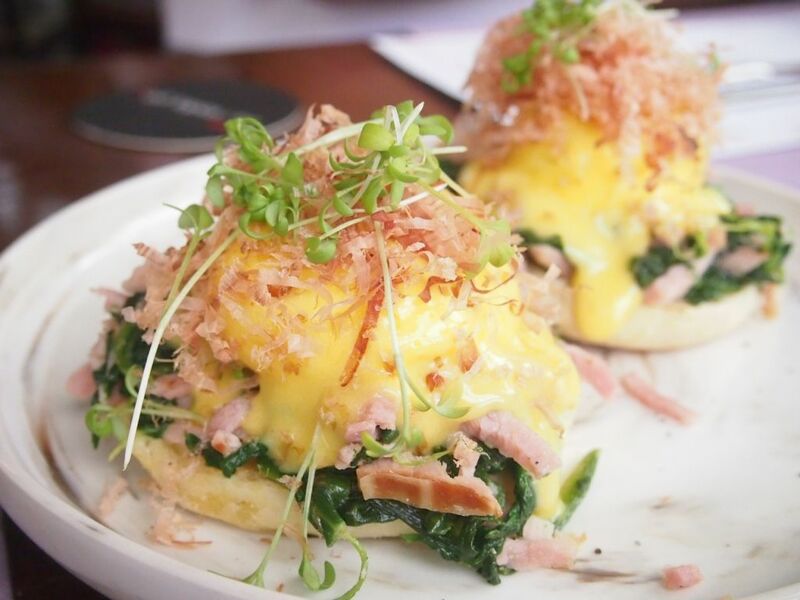 The Eggs Berentine, a playful merger of eggs benedict and eggs florentine, is a solid outfit of flawlessly poached eggs, ham, spinach and dashi-infused hollandaise atop housemade muffins. And it carries a proud price tag of $14. Did I shock you? Oh, wait till you finish going through this post. While this wasn't the first dish to be served, I have placed it right here because guys, I have found my favourite French toast. I never thought it possible, especially when I hardly even order French toast anywhere. Chef Ronald soaks housemade brioche in a custard mix before pan-searing it to achieve a crispy exterior while ensuring a fluffy centre, before sending the toast on a trip to the oven. 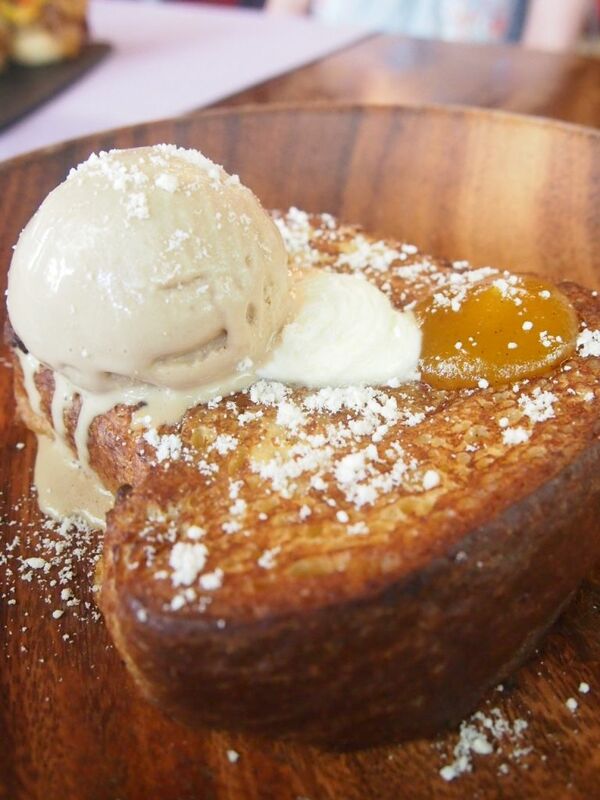 The toast is then topped with housemade Okinawa icecream made from Okinawa sugar imported from Japan, housemade mango jam for a tangy kick, clotted cream and grated Italian meringue. Divine, divine, divine. 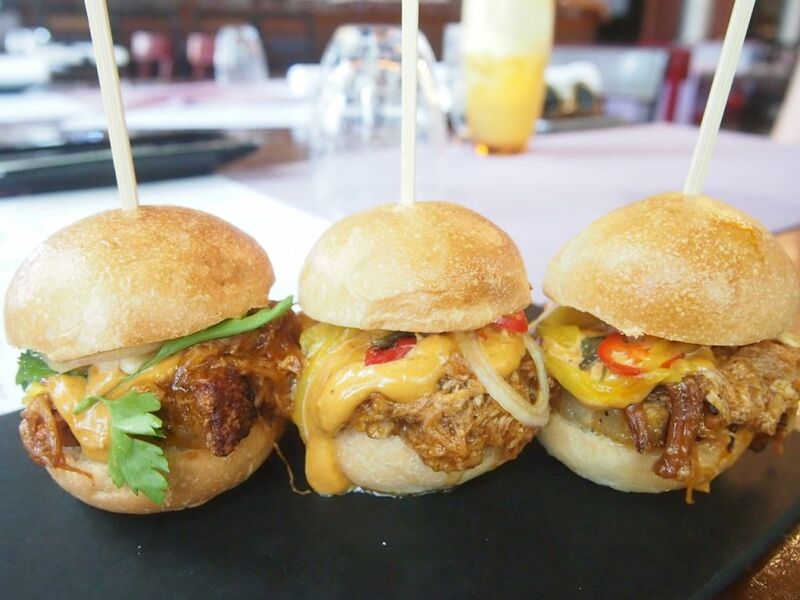 Housemade everything, off the charts effort and brilliance, unparalleled taste and texture and it's $15. Please make a reservation for this weekend already. 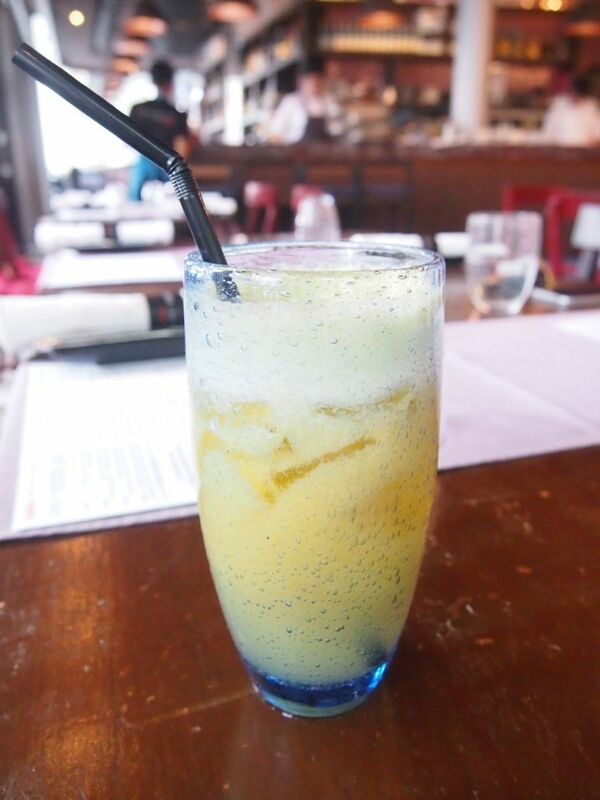 A sweet tango of five fruits is a pretty great option to accompany a hearty brunch, methinks. 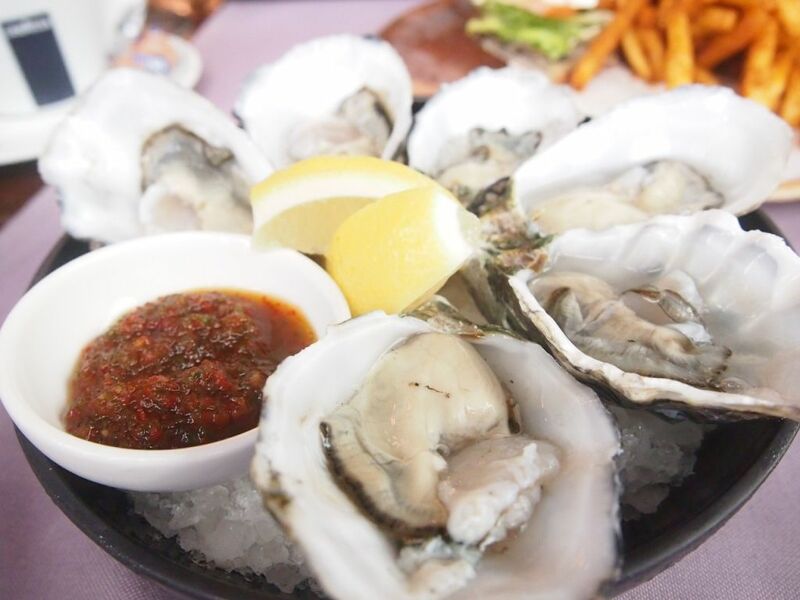 Fresh and plump oysters served with nam jim dressing on the side. For those who crave a good oyster anytime of the day. Soft shell crab was unavailable that day so it was replaced with fish. The batter that the fish was encased in was incredibly light and thin. 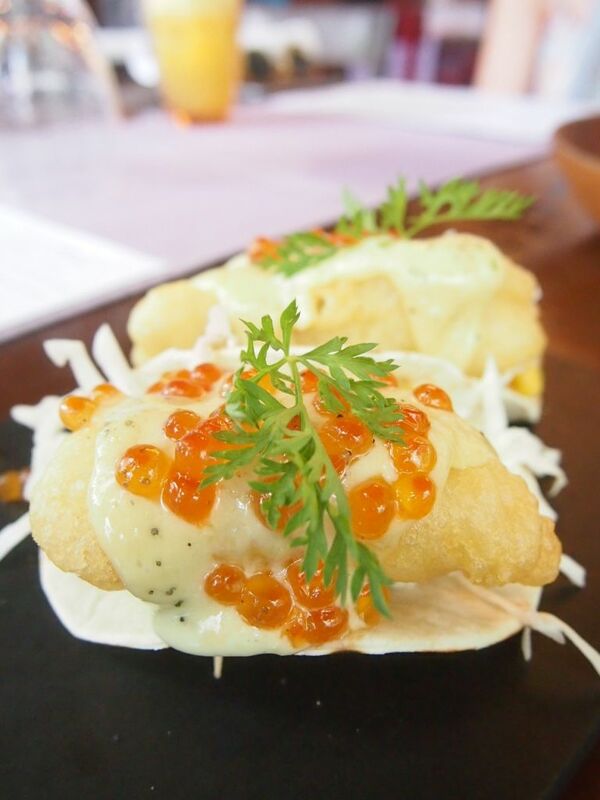 The taco was assembled and completed with a spicy kick from the wasabi mayo, a salty touch from the ikura and a sweet tanginess from the pineapple salsa. The flavours worked so well together! Pork seems to be their strong suit here. Besides being home to one of the best, if not the best, pork ribs in Singapore, they have pretty exceptional pulled pork and pork belly here too. Dressed in a coat of spice, the pulled pork dazzled with a notable softness and intense flavours. And that pork belly was simply stunning. Brunch should always start on a good note, especially one that looks and tastes like this whole get-up of pulled pork, pork belly, picked cucumbers and toasted buns. Although the scrambled eggs weren't as creamy as I would have liked, the fluffy texture kept me going back for more. 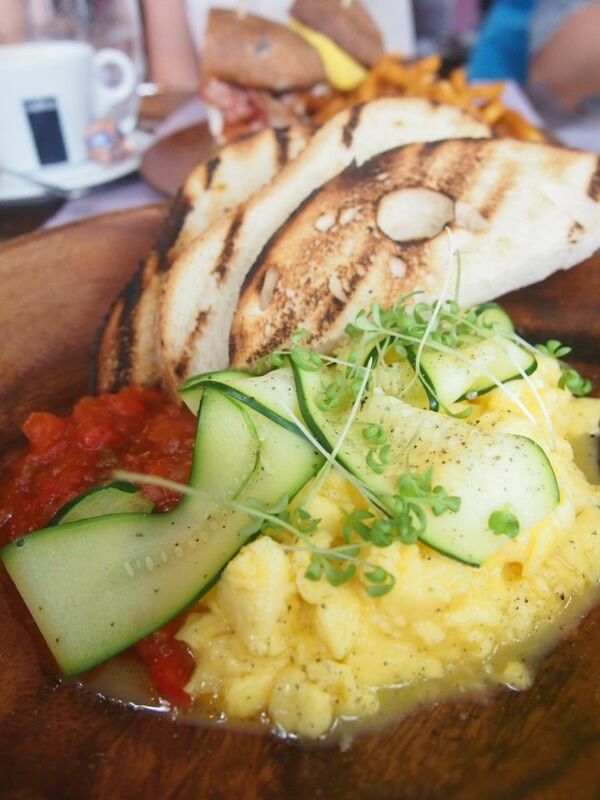 The ratatouille spiced up the scrambled eggs and it was certainly a great pair-up. When I was told that this is one of the bestsellers in the house, I was honestly very surprised. Personally, I wouldn't opt for a sandwich for brunch but after having tried it, its easy to get why this dish is high up on the ranks. 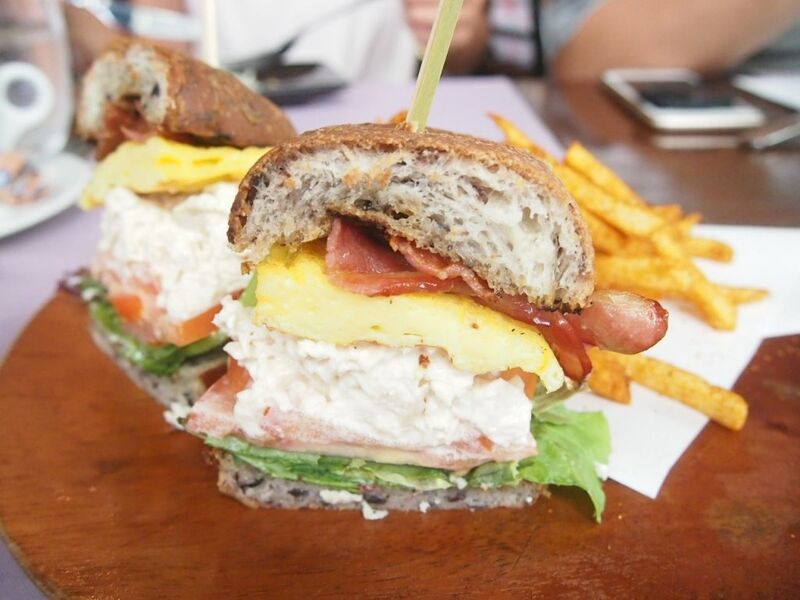 The chicken mayo sandwiched between the housemade olive buns was absolutely delightful, and addictive. I mean, the sandwich is good altogether but the chicken mayo was what stole the limelight. Lovely colours, lovely presentation. While the omelette struck a cord with most, it didn't quite leave an impression on me. 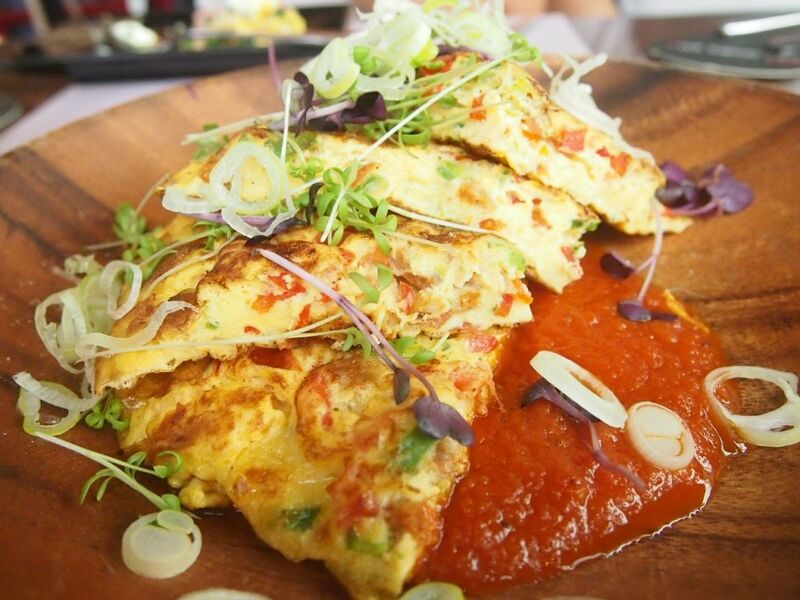 The omelette wasn't bad but it paled in comparison to the rest of the dishes. 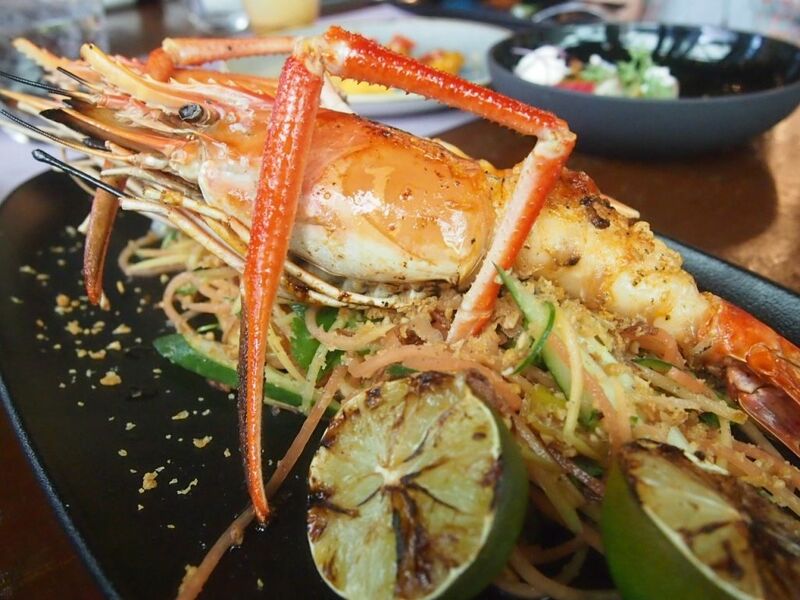 Equipped with a light char, the crunchy prawns retained a hint of smokiness that accentuated their natural sweetness. While it isn't the most filling dish in terms of portion, it is perfect for those who feel like having something less heavy. All hail my favourite pork ribs, now available in a smaller portion that can be manageably polished off by one pax. Before the ribs arrived, I was already super excited. Can you imagine the way I was rubbing my hands in glee when I saw the ribs approaching? As expected, it didn't disappoint. Just as good as I remembered it to be. 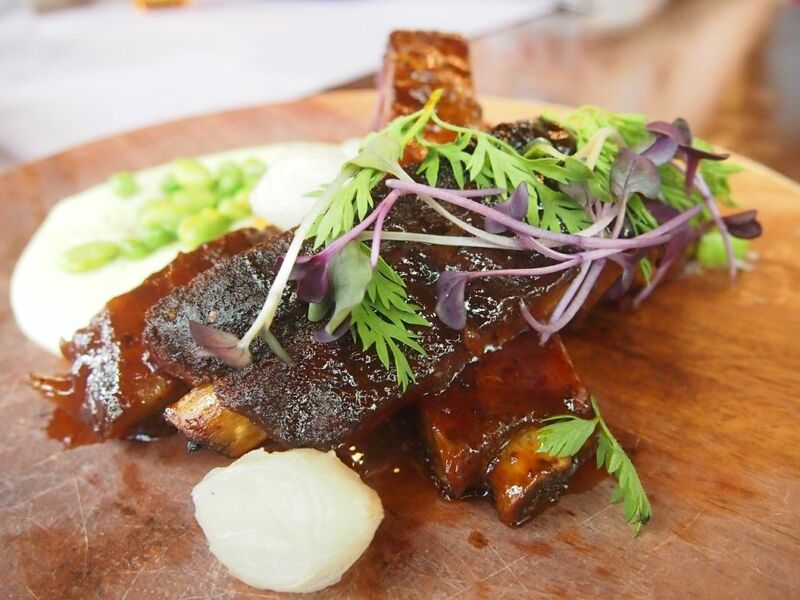 The US Saint Louis Ribs were remarkably tender from a 6 hour stay in the oven, and every bite promised a mighty burst of flavours courtesy of Chef's special barbecue sauce. Also, that mash wasn't just a useless sidekick, it was pretty yummy too! 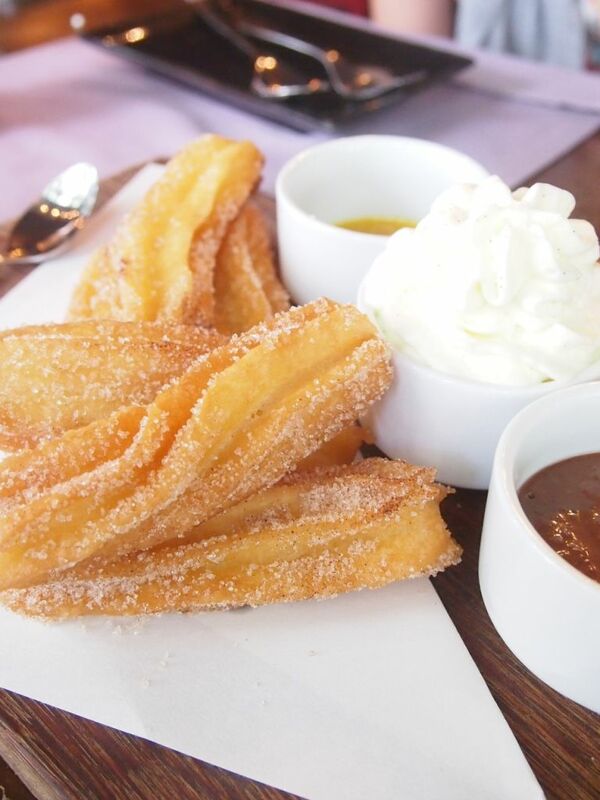 I'm a loyal fan of the churros here and I'm a little sad to see the chocolate and vanilla sauce go. In their places are chocolate hazelnut sauce and orange marmalade. I'm always asked for recommendations for brunch or where my favourite brunch hangout is, and I never had a straight-up answer but now I do.